Abraham is a man of prayer. In the short narrative of Abraham’s life from Gen 12-25 (13 chapters), the author specifically mentions 3X about Abraham calling on the Name of God, Yahweh. Gen 12:8 From there he moved to the hill country on the east of Bethel and pitched his tent, with Bethel on the west and Ai on the east. And there he built an altar to Yahweh and called upon the Name of Yahweh. Gen 13:4 to the place where he had made an altar at the first. And there Abram called upon the Name of Yahweh. 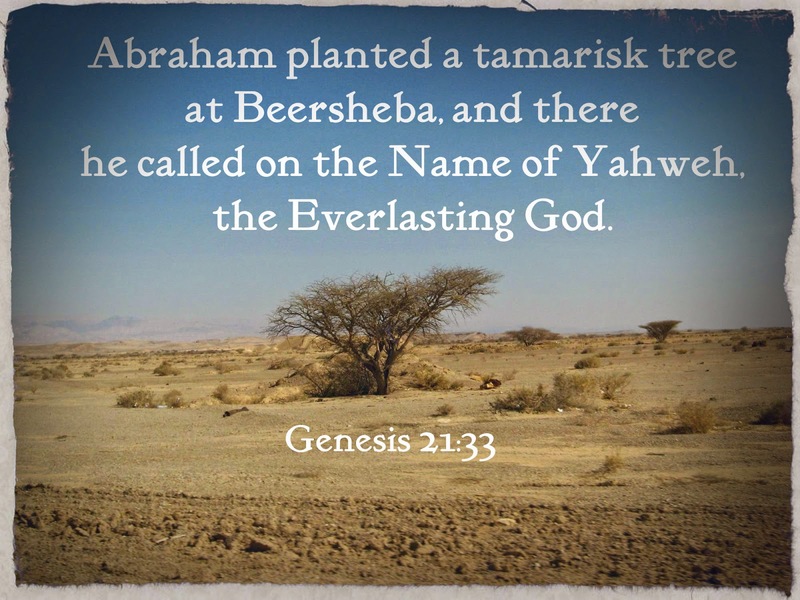 Gen 21:33 Abraham planted a tamarisk tree at Beersheba and there he called on the Name of Yahweh, the Everlasting God. It’s not to say that Abraham only called on God’s Name three times in his life, but the repetitive mentioning of Abraham calling on God’s Name tells us that Abraham is a man in the habit of calling on Yahweh’s Name in prayer. As Abraham continued to call on Yahweh's Name in prayer, his faith in Yahweh was developed and strengthened as the years went on. No wonder Abraham is called the father of faith. Faith indeed is strengthened in a close walk of calling on God’s Everlasting Name. Now, do you understand why you need to spend time in prayer? Now, do you understand why you need to spend time to call on God's Name in prayer? You need to have faith to call on God's Name, Yahweh. You need to have faith to recognize the Everlasting Nature of God's Name. If you don't have faith, you will not spend time in prayer. If you don't have faith, you will not bother to call on God's Name in prayer. If you don't have faith, you will just treat God's Name like every other name and not see its EVERLASTING nature to call upon. How did Abraham know God’s Name is Yahweh? God directly revealed Himself to Abraham, "I am Yahweh". Since then, Abraham continued to respond to Yahweh God by faith. By faith, He came to know God as everlasting God. In Genesis, we know that God reveals His everlasting covenant, everlasting promise to Abraham. Not only that, God also reveals His everlasting Name to Abraham so that Abraham calls on the Everlasting Name of Yahweh. Abraham always trusted and called on God’s everlasting Name, Yahweh. That's how He became a man of great faith. We, too, need faith to call on God’s Name, to trust in His everlasting Name, Yahweh.